Here is a sample of our work. The difference is so dramatic. Is there really a need to label the pictures "before" and "after"? 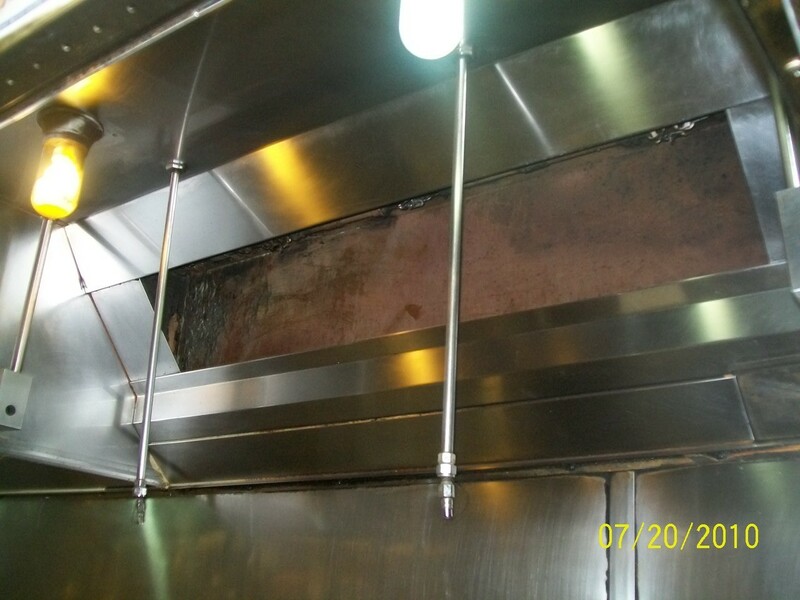 Sunshine Exhaust Hood Cleaning offers specialized services for restaurant kitchen grease exhaust hood systems. We are dedicated to our trade, and offer the most knowledgeable and well trained kitchen exhaust grease hood cleaners and service repair technicians in the entire industry. We service cities all over Florida including: Orlando, Tampa, Gainesville, Ft Myers, West Palm Beach and More! We are licensed, bonded, and fully insured. We are members of IKECA, and NFPA. Did you Know That over 90% of the hood cleaning companies in Florida will only clean the areas that you can see well, but neglect the areas which are out of sight! These out of sight areas can get really loaded with grease and oily residues that could ignite if a kitchen fire spreads into your hood system. Sunshine Exhaust Hood Cleaning Service's hood cleaning technicians are Certified Experts at finding these hidden areas and removing the fire hazard. Sunshine Exhaust Hood Cleaning Service has been in business for over 20 years and we have some of the most experienced hood cleaning technicians in the industry. Our time-proven techniques, highly trained servicemen and state-of-the-art tools ensure your kitchen exhaust system will be as clean and as it can get. Give us a call at 866-647-5800 for a free estimate. We will give you a full report on the current condition of your exhaust system, along with pictures and a quote to have your entire system cleaned properly. We offer Kitchen Exhaust Hood cleaning services in Orlando, Tampa, West Palm Beach, Lakeland, Naples, Jacksonville & More! We take pride in giving you the best Kitchen Exhaust Hood Cleaning service available. Our hood cleaning servicemen are trained in the latest grease removal methods to ensure that your kitchen exhaust system is cleaned to bare metal EVERYTIME! Quality workmanship is our top priority. 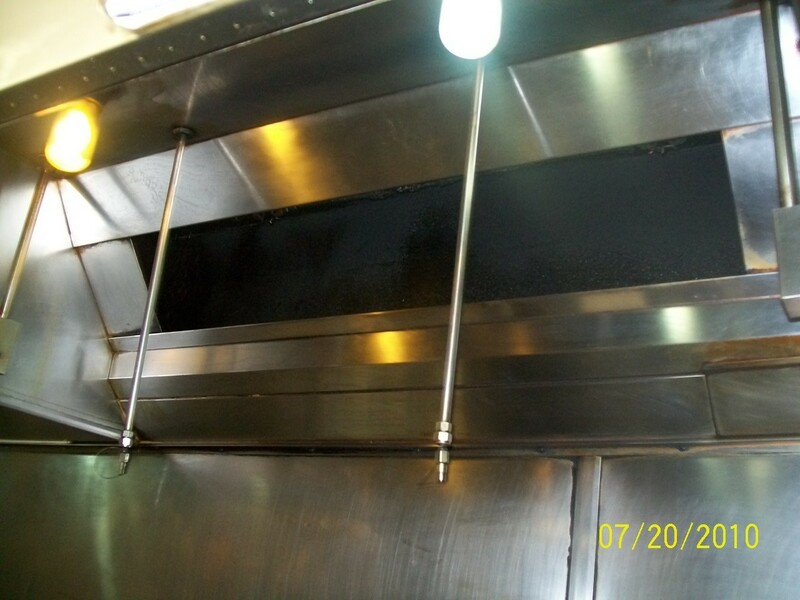 Sunshine Exhaust Hood Cleaning provides the highest level of service in the Industry. Our Certified quality assurance inspectors keep the servicemen on their toes so that they continue to provide you with the highest quality and most thorough service. Our service is guaranteed. Our staff and hood cleaning servicemen will take every step necessary to ensure your satisfaction. Call Sunshine Exhaust Hood Cleaning Today and Save!